The Wentworth is made with an immensely strong 20 gauge steel. 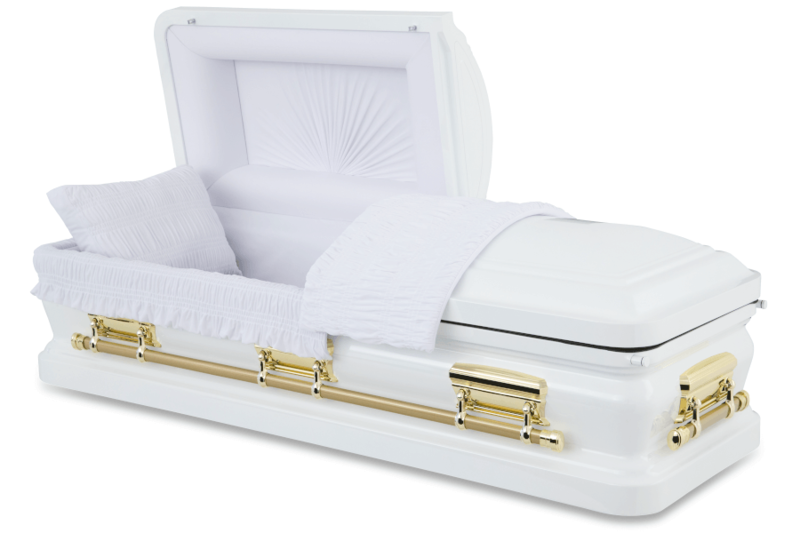 Designed as a half lid open casket with smooth curves and high lacquer white gloss, the spacious and elegant Wentworth is equipped with high quality velvet interior and a matching pillow. 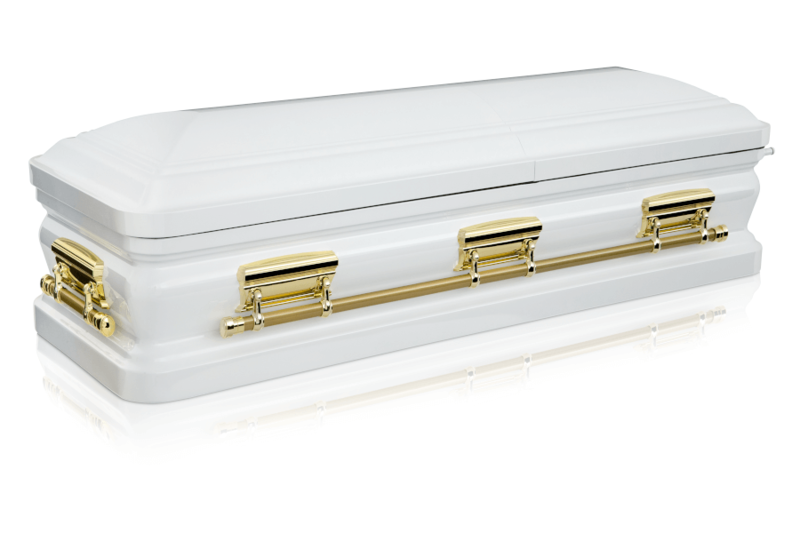 Full length steel bar handles are fitted, with matching metal hardware placed on all sides of the casket. The strength and purity of the Wentworth represents the reliable individual that once lived — although departed, he continues to offer inspirational light. Steel is widely used in construction because of its high tensile strength and low cost. It’s rust resistant property and exceptional value in comparison to bronze or copper makes it the most economical metal used to make caskets. Gauge stands for the thickness of the steel used and 20 gauge is the most desirable thickness to ensure a long lasting and durable casket.